Student Services provides a variety of programs and services to assist students in personal and educational areas. It is the responsibility of the Student Services staff to advocate for the common good and the rights of the individual, to encourage independent thought and decision-making, and to set limits on student behavior. Student Services strives to create opportunities for personal, social, cultural, and intellectual growth within the campus environment. Hours: MTWF: 8 a.m. - 5 p.m.; TH: 9 a.m. - 5 p.m. Academic advisors assist students in making effective decisions regarding degree plans and academic course selections. New and current students who have not completed 24 credit hours must meet with an advisor before registering for classes. The ACC also provides short-term personal and confidential therapeutic counseling as requested by students. Students are encouraged to schedule appointments to meet with advisors. Personal counseling and disabilities services are by appointment only. All services are confidential and free of charge. San Juan College is concerned about the health and safety of our students, our faculty and our staff. We are committed to providing an environment where individuals are free to work, learn and teach unencumbered and uninhibited by threats of intimidation or harm. To this end, the College has established the Behavioral Intervention Team (BIT). The BIT is responsible for monitoring behaviors of concern and providing caring, preventive, early intervention with individuals whose behavior is disruptive or concerning. Campus safety is the goal. The Team consists of an interdisciplinary committee of qualified college officials who meet bi-weekly or more often to review reports and monitor behaviors which have the potential to negatively impact the college environment. When such behaviors are identified, the Team will provide purposeful and timely interventions in order to maintain a safe campus environment conducive to learning and achieving academic success. BIT reporting is for non-emergency situations only. In the event of an emergency call 911 immediately. Reports are confidential. The reporting person is only contacted in the event additional information is required. The person of concern will be contacted if deemed appropriate after the team discusses the information and decides on the best approach. When wondering whether or not to make a report keep in mind the following: If you see something, say something. The Center for Student Careers and Employment assists students and alumni with employment. Whether you are looking for an on-campus student employee position, part time off-campus job or full-time career once you graduate, our office can help you prepare for job success. Students are welcome to take advantage of the Center for Student Careers and Employment computers to work on their resumes, search for jobs and submit online applications. The College promotes a safe campus environment and has procedures in place to handle emergency situations. Emergency procedures are outlined in the student handbook. The basic premise of financial aid is to supplement, not replace, what the family can contribute toward educational expenses. Students have an obligation to be responsible for contributing a reasonable portion for their educational expenses. However, a lack of funds should not keep a student from obtaining a post-secondary education. The Financial Aid Office at San Juan College offers grants, loans, scholarships and student employment for students who demonstrate financial need or scholastic ability. The Financial Aid Office provides financial assistance to students who would otherwise not be able to attend San Juan College. Financial aid programs are administered according to nationally established policy and philosophy of financial aid for education. Financial aid is awarded on the basis of need, scholastic achievement, or promise of academic success. We stress the importance of early financial planning and timely communication since the financial aid process can be very complicated and often time consuming. As part of a learning college environment we take steps to ensure that students understand the financial aid process and the implications of using various types of financial assistance before attending school, while enrolled, and the responsibilities following graduation. Work-study: Allows you to earn part of your financial aid eligibility by working part time on campus and getting paid based on the hours worked. Student loans: Allows a student to borrow money to pay for college related costs and pay back that money at a low interest rate after leaving college. Student must be registered in no less than 6 credit hours. The cost of attending San Juan College includes: 1) Tuition and fees; 2) Room and board; 3) Books and supplies; 4) Transportation; 5) Personal expenses; and 6) Child care costs, if applicable. The Free Application for Federal Student Aid (FAFSA) is used to apply for all types of federal and state need-based aid. You may apply via the Internet at www.fafsa.gov. San Juan College’s school code is 002660. To receive maximum consideration for aid, your application should be submitted by the Federally suggested priority deadline of April 1 each year. If selected for the “verification process” you must submit any requested documents to the Financial Aid Office in a timely manner. Failure to submit documents in a timely manner may delay processing of your financial aid application. All prospective students must be regularly admitted to San Juan College to receive an offer of financial assistance. Any student owing a refund or repayment of a loan, grant and/or in default of such a loan will be denied financial aid at this institution. Students who do not have a high school diploma or a recognized equivalent (e.g., GED) or do not meet the home school requirements, and who first enroll in a program of study on or after July 1, 2012, will not be eligible to receive Title IV student aid. Students will qualify for Title IV student aid under one of the ability-to-benefit (ATB) alternatives if the student was enrolled in a Title IV eligible program prior to July 1, 2012. Pell Grant “Lifetime Eligibility Used” (LEU) allows 12 semesters (full time attendance) of funding which is equivalent of six years of Pell Grant funding. Once a student reaches the LEU, no additional Pell Grant funding is available. Ask your financial aid office for more information if needed. San Juan College Foundation and Native American Scholarships Undergraduate Various award amounts. Cannot exceed Cost of Attendance (school budget) versus Cost of Education. Federal Direct Parent Plus Loan Undergraduate Up to cost of education minus other financial aid awarded. In addition, students may apply for various Native American Scholarships, which are provided by the various area chapters, local tribal agencies and higher education offices. There are different deadlines for each scholarship and information on the scholarship programs may be found at the Financial Aid Office or through the various individual tribal websites. Students seeking part-time employment while attending San Juan College may apply for work-study. Students must be enrolled for at least six credit hours to be eligible for Federal or State work-study. Available positions are posted with the Career Services Office. Students must complete the FAFSA, submit any needed paperwork requested, then complete the steps that begin with the Financial Aid Office. Working with the Career Services Office allows the opportunity for resume writing, cover letter assistance, interview skills, and career assessments. The Veteran Center is approved to certify veteran students and/or dependents who wish to use their GI Bill educational benefits while enrolled in an approved degree or certificate program. Prospective students are urged to submit completed GI Bill applications on-line via Vet.Gov which can be accessed through the VA website at https://www.va.gov/education/how-to-apply/. Veteran students with prior college and/or university credits must submit transcripts to San Juan College Enrollment Services Office for evaluation. Military transcripts can be requested on-line at https://jst.doded.mil/smart/signIn.do. Dependent on State funding as mandated by the New Mexico Legislature; subject to change. The New Mexico Legislature initially created a scholarship to cover tuition costs but now only covers a portion of New Mexico high school graduates and GED completers. A student must enter college in the next semester after completing high school or completing his/her GED. Eligible home-schooled students must complete a New Mexico GED prior to the qualifying semester. Eligibility is gained by completing 12 or more credit hours and earning a 2.5 grade point average (GPA) or better during the initial or ‘qualifying’ semester at a two year school. To continue eligibility, students must enroll and complete full-time enrollment of 12 or more credit hours and maintain a minimum 2.50 cumulative grade point average (CGPA) (including grades earned through dual credit classes). After establishing eligibility, a student has three consecutive semesters of Lottery eligibility at a two-year college and an additional four consecutive semesters of eligibility upon transferring to a four-year New Mexico college or university which then requires 15 or more credit hours and maintaining the 2.5 CGPA. Funds earned at a four-year school apply to the three-semester limit at a two-year school. More than 200 individually sponsored scholarships are available through the SJC Foundation Office at San Juan College for qualified students. You must reapply each year for consideration. Priority deadline for scholarship applications is March 1 of each academic year. You can find information and a scholarship application at www.sjcfoundation.org. The William D. Ford Federal Direct loan is available at San Juan College. Under the Direct Loan Program, funds for the loans come directly from the U.S. Department of Education rather than a bank or other lending institution. The federal government remains the lender for the life of the loan and the loan will not be sold. Students must be enrolled in a least six credit hours and carry a minimum 2.0 grade point average. Federal Direct Loans have need-based (subsidized) and non-need based (unsubsidized) components. A student loan is a serious, long-term commitment and it is important that all loan borrowers fully understand their rights and responsibilities prior to borrowing a student loan. First time student borrowers must complete entrance counseling and a loan seminar before being certified for a student loan. Students must complete an exit interview session upon graduation or at any time that they drop below six credit hours. You can locate information and the application for Student Loans at www.sanjuancollege.edu/financialaid, go to “Types of Aid”, then scroll down to “Student Loans” for details. Grade Point Average: Students are required to maintain a cumulative grade point average of a 2.0 or above. Completion Rate: Students must successfully complete at least 67% of the total credit hours they attempt. Classes in which grades of A, B, C, D or CR are earned will be considered as completed. Courses with assigned grades of F, W, AW, I, NC, X, and “repeated” courses all count as attempted credit hours. All accepted, attempted credit hours from any college (including non-degree hours) are counted whether or not financial aid was received. This calculation includes all hours in which a student is registered at the time of withdrawal. Developmental coursework up to 30 credit hours are exempt from the calculation. Coursework taken as an audit is not counted in the student’s total course load for the purposes of financial aid eligibility. Maximum Time Frame: Undergraduate students must complete their program of study within 150% of the published length of the program, measured in credit hours attempted. Example: if the published length of the academic program is 68 credits, the maximum time frame is 102 attempted credits. Students attempting any more than 102 credits would be placed on suspension for exceeding Maximum Time Frame. All accepted, attempted credit hours from any college, including non-degree hours, and hours attempted in completing a prior certificate or degree will count toward the maximum allowable credits regardless of whether financial aid was received. Courses with assigned grades of F, W, AW, I, NC, X, and “repeated” courses all count as attempted credit hours. All standards are reviewed at the conclusion of each semester. Should the student fail to meet the criteria listed above, he or she will no longer be eligible to receive financial aid at San Juan College. Appeals will be allowed for students with circumstances beyond their control. Comprehensive financial aid information, policies and information can be found on the San Juan College Financial Aid Office web page www.sanjuancollege.edu/financialaid. The Herencia Latina Center is one of the cultural centers on campus that engages with students and provides them with support services to succeed. Promoting Latino/Hispanic culture while facilitating student success by fostering and nourishing an equitable, inclusive campus community where we value, cherish, and respect cultures of every individual. We encourage students to engage in a serious academic journey while cultivating a campus atmosphere conducive to safe learning. In a culturally supportive environment, we discuss your academic and career goals, and help you transition into the college environment. You can also develop your academic and professional skills through a variety of workshops, or simply join in the fun and meet new people through a variety of activities and cultural events. The Center is located in the Learning Commons in the Student Sun’s Lounge, Room 1616. The Native American Center focuses on integrating social, cultural, and academic life for Native American students. The center assists Native American students in their college entrance and college adjustment processes. Coordination of advisement is proivded in academic, vocational, financial assistance, personal guidance, and other college-assisted programs and informational sources. 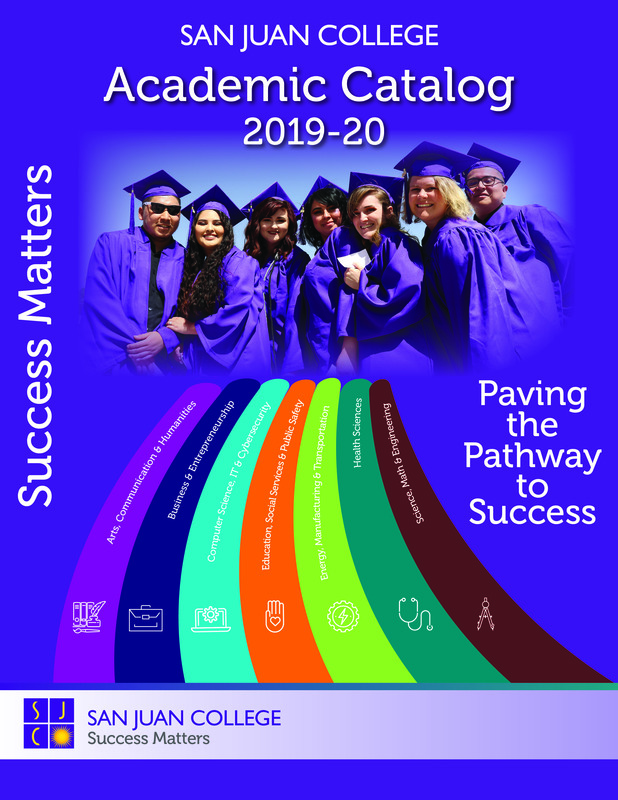 Native American clientele have access to college catalogs, directories of colleges, transfer program guides, sources of financial assistance, special assistance programs, and Native American organizations. Financial assistance for Native American students is provided through identification of sources and procedures for tribal scholarships. Other support services include providing liaison assistance between the college and Indian communities; as well as promotion of outreach programs, special topic seminars, and Native American cultural enrichment activities. The Office of Student Activities at San Juan College provides excellent opportunities for students to enrich their educational experience with social, recreational and cultural activities. This office also serves as an information center, provides events throughout the year and houses Associated Students, the Student Ambassador Program, and all clubs and organizations. The San Juan College Testing Center is a full-service, certified test center offering proctoring services for SJC students as well as for students from other higher education institutions and for community members. Our state of the art scheduling system allows students to schedule an exam appointment through their Canvas course or at our SJC Testing Center webpage depending on instructor preference. Students applying for the Health Science programs can take the ATI TEAS entrance exam during each program’s specific testing window. The SJC Testing Center also offers two options for the High School Equivalency Exams, the GED and the HiSET exams, and prior learning assessments, such as CLEP exams, for students to earn college credit for prior learning. The SJC Testing Center is a regional Prometric Testing Center, a Microsoft Office Specialist (MOS) site, a PearsonVue Authorized Center, a Utah State Parks authorized site, a CASTLE Worldwide test center, a Performance Assessment Network (PAN) site, Kryterion Host location, a New Mexico Department of Agriculture pest control test center, a Comira site, and Assessment Technologies Institute (ATI) testing site. On seven Saturdays throughout the academic year, the Testing Center hosts the administration of the ACT and SAT college entrance exams for our regional high school students. The Veteran’s Support Center focuses on supporting the educational success of U.S. military Veterans and their families at San Juan College. The Center assists Veterans with college entrance and financial aid application processes, adjustment into post-secondary lifestyle, and academic success strategies. Coordination and advisement is provided on career goals, academic planning, GI Bill and financial aid benefits, personal guidance, and educational support services. In addition, the Veteran’s Support Center can be used as a liaison with other Veteran specific assistance offices and programs. The Center conducts outreach efforts, promotional events, and offers special programs and enrichment activities.